There’s nothing worse that noticing damage on your car. Be it a scratch, chip or scuff it can really ruin the look. Today, there are many options to remove damage from your car, from SMART repairs to home touch up kits. But, how do you use a home touch up kit? 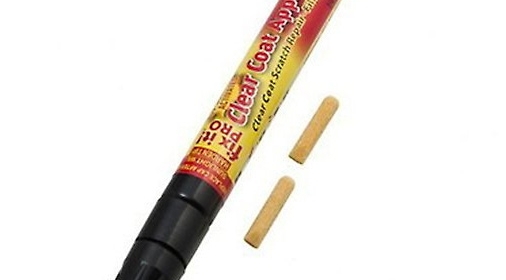 There are many home touch-up kits available, from Chipex to Mpex. Here at ChipsAway, we use Mpex. These kits are simple and quick to use, but do not provide the same finish as a professional repair. Start by thoroughly washing and drying the damaged area. This is to ensure there is no loose dirt that can get into your repair. Leaving the area damp can also cause implications when applying the paint. Using your kit, carefully touch up the damaged area with the paint. Be careful not to use too much here. You can finish off by polishing the area with good car polish. Remember, there is a difference between car wax and car polish. It is important to be sensible when touching up your car at home. You should only attempt to repair small damaged areas. Larger areas will be more difficult and are likely to need a professional repair. Although home touch up kits are handy, they will not leave you with the perfect finish that a professional repair can. 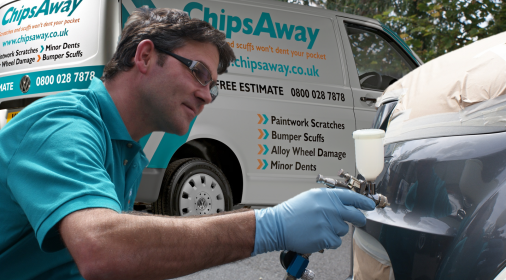 Here at ChipsAway, we provide high-quality SMART repairs. This means we can keep the repair localised to the damage, unlike many bodyshops, and are normally cheaper. Click here to get your free estimate.